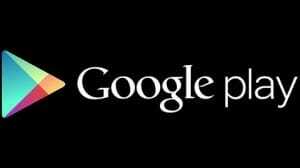 Google Play was released a little while ago in the market and it has become so much popular among the Android users as it provides ease and comfort to download their favorite music, books, apps, games etc. Well, the problem with the Google Play platform is that the whole package is only allowed to the people living in US. So, today we are going to talk about this issue but first of all we are going to explain a little bit about the Google Play itself. Google Play: Top Source of Android Games! You might remember that Google previously had an app store for its mobile platform Android called Android market, well, Google Play is just a makeover of the Android Market and it was released last month. Actually, Google has combined many different services and the whole package is now named as Google Play which makes it one of its kinds. It means that Google Play is considered to be one stop destination for all the entertainment lovers who are the proud owners of an Android smartphone or tablet. In addition to the previous features of the Android market, Google Play also comes with many new great features as it now offers movies, music, books, games and a whole lot of other useful Android apps. US Version of Google Play is Amaing! The problem with the Google Play is the same as that with other popular websites like Hulu, Netflix, Pandora and others. Google Play is also filled with restrictions. If you live in US then you will be getting complete set of facilities but if you live in anywhere around the world, you will only be able to facilitate a single or maybe a couple of those services. It is really frustrating for all those Android users, as they cannot get their favorite stuff from the Google Play store because it is not allowed to be downloaded in their country or region. Use VPN To Access US Google Play! So, the only solution to this problem is getting a VPN service. You can get a VPN connection for your Android device right now and that’s how you will be able to access the US version of Google Play store without any trouble. A VPN connection will basically replace your IP address with a US based IP and that will allow you to access the US version of Google Store on your android device. There are so many VPN providers available out there that can provide you with a US based VPN service for your Android device. With the help of this VPN service you will be able to access all of the Google Play services including movies, books, music, apps, games and much more while living anywhere around the world and without any restrictions. Here is the list of some of the highly recommended US VPN providers for Android.